We are Nikulsan: An established Integrated Marketing and Communications Agency with a firm-rooted presence across the country evolving over last six years. The brand has always believed in a go-getter and zealous approach as a part of its philosophy, working with a young aspiring team, under the guidance from experts in field of Marketing and Strategy. Since it’s commencement in year 2010, the brand Nikulsan, under the aegis of the dynamic Co-founders, has positioned itself as an innovative and path-breaking agency, creating effective solutions for various brands in diverse domains of Real Estate, Telecommunications, Entertainment, FMCG, Food and Beverage, Financial Services and Not-for-profit institutions. 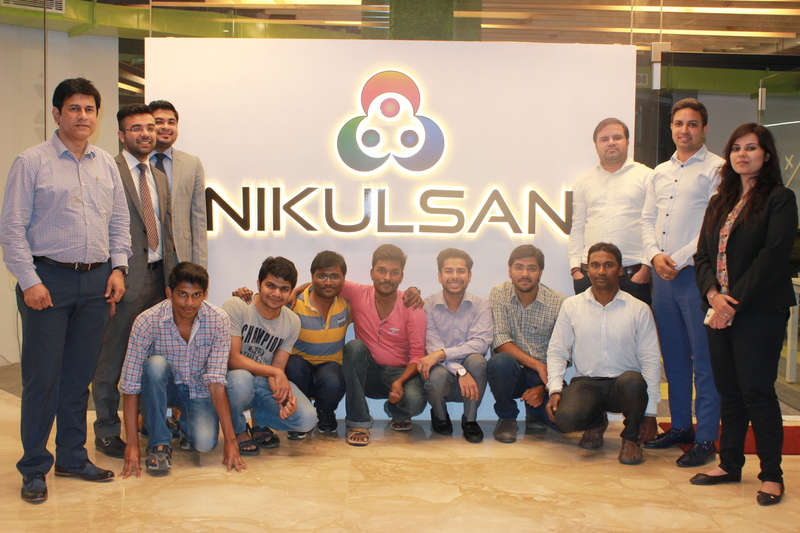 At Nikulsan, the fundamentals are to keep it simple and away from clutter when working on overall communication and marketing strategies around our clients; the essence is innovation and working at grass-root level for effectiveness and connect. Well, our name certainly had more of a symbolism around belongingness and a sense of accomplishment; though we sound very hi-tech and snazzy when we talk of our name, but actually speaking, Nikulsan has evolved out of names of the co-founders: Nishant, Kuldeep and Sandeep. So, you can say; everything is in the name. Nikulsan has positioned itself as a holistic boutique agency with an established forte in offline and online segment, when it comes to nurturing brands.The core competencies of Nikulsan have always been working away from clutter, creative autonomy, dedication and ROI accountability to clients. The areas of expertise lie in end to end marketing and brand building ranging from creative/ concept ideations to media planning and releases including digital acumen. In a nutshell, we offer a 360 degree solution or strategy to any brand. 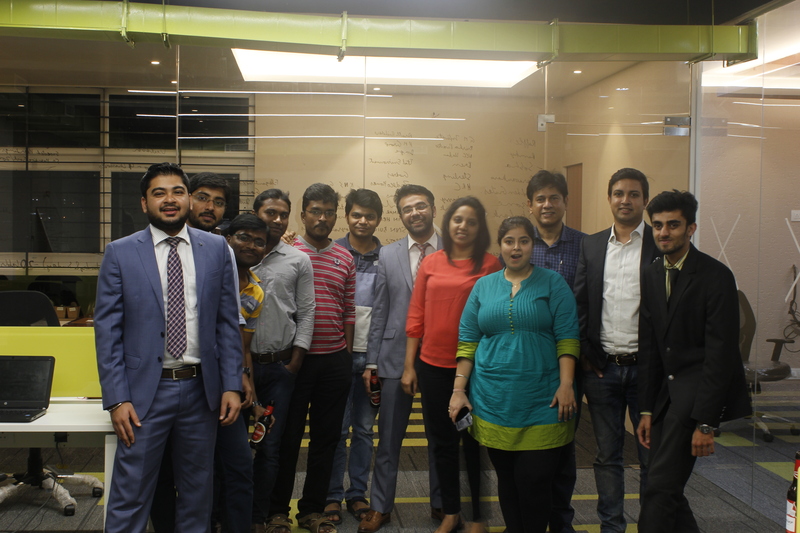 Talking of offline, we do anything and everything ranging from brand construct & nomenclature, to creative designing, formulating campaigns, media planning, buying and allocation strategies and execution on-ground. In online competencies, our exhaustive services include social media management and marketing, search engine optimisations, trendy websites, digital campaigns and media strategy, online reputation management and uber videos. We chose to do it because we simply love it; it’s great fun and an absolute kick when we address the various challenges or identify the opportunity areas around diverse brands. The whole process of understanding our clients, the storytelling and contributing to their success trajectories is very exciting; considering the digital advancements today, every day is a day of knowledge sharing, learning and accomplishment at Nikulsan. Every day is a new day and comes with innovations or evolving trends; we keep our vibrancy and dynamism alive by walking in sync with time, keeping ourselves updated as experts in marketing domain and also building a continuous pool of resources and knowledge. We also saw a first mover advantage in establishing our foothold in real estate sector at the right time and could build a leadership there with almost 70 percent of the domain clients utilising our services. Similarly, progression from just digital to becoming an integrated marketing and communications approach was also a part of organic evolution for us. We are proactive in understanding what works, the market pulse and try being in that quadrant. So, in short, we keep growing. It’s difficult to ignore the impact of social media for any brand in existence; so it becomes more imperative for the social media agencies to be conscious enough as the brands have entrusted their imagery and definition in the agency’s hands. The quality or intent of media or content could make or break. The agency needs to understand the moderation of any content and should ensure that the media/ communication is free of any radical connotations to create any social commotion; sensitive social listening is a must. Brands need to create the right perception, a conducive vibe around themselves; the story of their vision and distinctive advantage needs to be effectively told to the audience out there. This could only happen through collaborative efforts in holistic marketing and media where offline or online needs to speak a common language; this will create the lasting impact and a great brand recall. I would not call it learning the hard way, but we had always believed in working quality, even if that meant selective or minimal work as that would be our representation to any brand and industry as a whole; for us the testimonials and references have always been sacrosanct. This definitely had it’s own set of challenges in terms of kick-start but the evolution has been on steady forefronts of goodwill and work speaking for us. Ha ha…am sure there would be many fun moments, as often while brainstorming, whether it’s with clients or within our team, unintentionally funny situations arise and are perfect stress-busters; only, I can’t recall them at the moment. The scope of social media is tremendous and is constantly evolving; the world is moving beyond Facebook and Twitter and the innovations are evident in other platforms such as Instagram, LinkedIn and snapchat; marketing at the end of the day can’t be restricted to a single medium and would always be about larger imprints. At the moment,our own country is at a promising juncture where we are open to newer technologies and progressive business models and so is the global scenario. It can easily be coined as a day of minimal activity in the world of our dependability on smartphones and internet based communication platforms. I guess that day would be good to catch up on our human side and chalkboards/ scribbles and vocal brainstorming will come back. 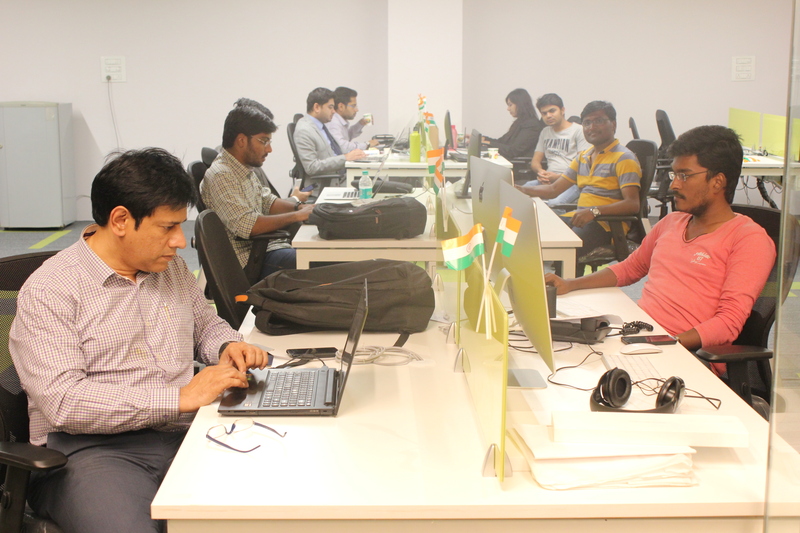 Yes, hiring for us is a continuous process and we love building the fresh talent around us.